One of the sickest episodes that happened during the government shutdown was how so many, if not most, conservative pundits were [and still are] obsessed with blaming Senator Ted Cruz for anything and everything. What is really sickening is how they are rubbing [in their opinion] the perceived loss by Senator Cruz in our [grass roots conservatives] face in an almost gloating like manner. What is amazing is how these pundits have become like the liberal MSM pundits with their echo chamber analysis. They use the exact same derogatory words towards Cruz- fool's errand, unrealistic, disaster, "what was he thinking", reckless, and yadah, yadah, yadah; and they use them over and over and over again. If it's not Krauthammer, it's Nina Easton, or Brit Hume, or Byron York, or Rich Lowry or Laura Ingraham or Mark Thiesen. I could go on and on. The people I named are all people I respect, people I like, and people whose opinions I value, and that is why this is so troubling. It is like we are watching that movie that begins [and ends] with a big van filled with giant pods in the back. 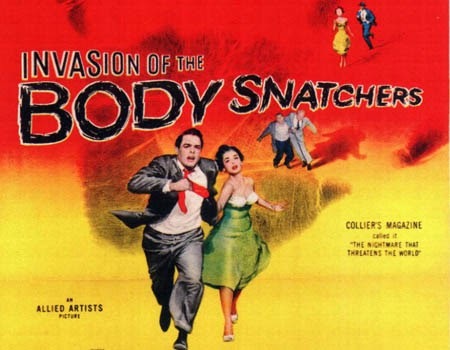 The invasion of the conservative pundit body snatchers [by an evil force of MSM beltway liberals]. 1. Senator Ted Cruz was a fool thinking the defund Obamacare effort had any chance of succeeding. From the start of Senator Ted Cruz and Senator Mike Lee's effort to defund Obamacare, Senator Cruz stated over and over again that there was no way this effort would or could succeed without the help of the people of the United States [coming out in overwhelming numbers against Obamacare] and the GOP coming together and standing united to defund Obamacare. Senator Cruz himself predicted that this would not succeed without a united GOP and that did not happen in the Senate. In fact, instead of being united, the majority of GOP senators went about attacking senator Cruz after his filibuster. The GOP house was united and sent a bill to defund Obamacare to the US Senate [which all those same pundits who are attacking Senator Cruz predicted couldn't even happen]. You had GOP members joining the Democrats to sabotage Senator Cruz' efforts in the senate, and then when those efforts of course would fail without their help, you had those same senators [and conservative pundits] saying "we told you so." So, we will never know what would have happened if the Senate GOP did unite like the house did and all 46 members stuck together. It is true the GOP would have still needed 5 Democrat Senators to come along and join them, but we will never know if those red state Democrats who were up for re-election would have joined the GOP because they were given cover by the Republicans against Cruz' effort. If instead, the GOP was united, that would have put tremendous pressure on those Democrats. The pundits will say, well even if that did happen, President Obama would have vetoed the measure and the effort would have failed. Failed, oh really? Are you telling me with the American people overwhelmingly against Obamacare and the House and the Senate both passing a bill to defund Obamacare that would have gotten on president Obama's desk and he would have had to veto it, that would have been a failure? No, that would have been the nail in the coffin of the Obama administration, his poll numbers would have plummeted much further than they are now, and the GOP would swamp the Democrats in the 2014 elections [and in capturing the presidency in 2016] and that would have been the death knell of Obamacare-just like Senator Cruz wanted. So, I submit, you cannot say the Cruz effort to defund had no chance of succeeding because it was never given a chance by the Senate Republicans. It just might have succeeded. 2. Senator Ted Cruz shut down the government [and that was his goal from the start]. I can understand the liberal Obama loving sycophants in the MSM saying Senator Cruz shut down the government, but otherwise good conservative pundits saying that is mind boggling. Senator Cruz never wanted to shut down the government, he just wanted to shut down Obamacare. But not only didn't Cruz want to shut down the government, to say he was responsible for it [and I don't know a better way to say it] is stupid. We are told by these same pundits, that Senator Cruz was some sort of nut isolated and despised by many in his own party. We were told how the house GOP was mad and upset with Cruz effort. Then we are told, in the next breath, how this so-called "nowhere man" all alone in the GOP, somehow had the power, all by himself to shut down the government. Give me a break. If Senator Ted Cruz had all this power to shut down the government like you are telling us, than why is it so farfetched to think that he would have the power to make his plan work? 3. Senator Ted Cruz, because he shut down the government [their words], is responsible for no one talking about the implosion of Obamacare and everyone only talking about the shutdown. This point made by these conservative pundits is laughable. Every single time you see one of these pundits decry how the Obamacare glitches [and all it's other failures] aren't being talked about because of the shutdown [by Cruz], they name every single bad thing that is happening with Obamacare. So, over and over and over again these pundits in one breath are talking about all the disasters happening with the roll out of Obamacare, but in the next breath crying that no one is talking about them. Huh? You just did...and did it over and over again. The disaster of Obamacare is being talked about more times than anything else I can remember, and it is being talked about like no one is talking about it. You can say, well yes that is on Fox News and the conservative talk radio shows, but the MSM is only talking about the shutdown and not Obamacare. First of all that is not true because everyone has seen many times some liberal media pundit attempt to show how easy it is to get on the Obamacare web site, only to left scratching their heads because they can't get on it. But if the conservative pundits think that the MSM stations haven't exposed the disaster of Obamacare because of the shutdown, they are really living in a dream world...or as Dr. Krauthammer would say himself [and this applies to him] "are they delusional?" Are you telling me these pundits don't realize yet that the MSM liberal pundits will never, ever expose anything bad for their man Obama. Not only will they not expose the truth, but they will cover up for it...and it doesn't have a damn thing to do with the shutdown. But maybe you do have a point pudits, because of Ted Cruz' filibuster and the shutdown the mainstream media refused to cover the "fast and furious" scandal in which hero border patrol agent Brian Terry was killed and that was not covered....oh, wait a second, that was BC [before Cruz]. But if it wasn't for Senator Cruz and his filibuster the liberal mainstream media would have been all over the IRS scandal in which conservative groups were targeted. Shame on you Senator Cruz...oh, wait a second, that was also BC. For sure the one and only reason the liberal media on the mainstream channels didn't cover the terrorist attack on Benghazi in which four great Americans were brutally killed [and the cover-up by this administration] was because of Senator Ted Cruz' filibuster. What a shame. Oh, wait a second, that was also BC. Do you get the pattern here conservative pundits who are attacking Senator Cruz. Do you honestly believe with the history of this media covering up for their guy who they got elected, they would have given one iota of a mention of how Obamacare is imploding even without a Cruz filibuster? And you talk about Senator Cruz move being unrealistic, give me a break. 4. Senator Ted Cruz is the big loser in all of this. This is the most obvious myth spun by the pundits on our side. The ones who really lost in the Senate deal was the American people. Yes, Ted Cruz is despised by all of the Beltway pundits who have gloated in his failing effort to de-fund Obamacare, but trust me he is anything but despised with the rank and file conservative Republicans. He is loved by them [us]. 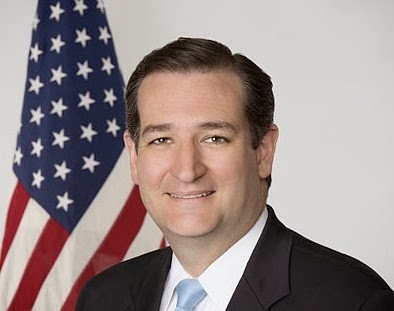 You can say he lost this round, but in the big scheme I submit that Senator Cruz not only is not a loser, but will turn out to be the big winner with who counts-the people. Item: Check who had a landslide win at the value voters forum. It wasn't Krauthammer or Ingraham or York, et.al. It was my senator from Texas Ted Cruz. I say God Bless him. Note: While I talk about so many disappointing right of center pundits who seemed to gang up against Senator Ted Cruz and his efforts, I must talk about three great journalists who stood up for Senator Cruz, bucking their fellow pundits [and I know that mustn't be easy to do]. The three: Hugh Hewitt, Mark Davis, and Sean Hannity. Bravo to you three! It continues to amaze me the Cruz is blamed when he held up nothing. On the other hand #DoNothing Harry Reid's two day filibuster, doing nothing, no business, let-the-President-play-golf, refusing to bring the House bill up for a vote, gets ignored. yep and it's being ignored and aided by pundits on our side DB...that is what is upsetting me. The President's threat to refuse to pay interest due on the nation's debts was an act of technical extortion because this was essential to the President's legal duty. 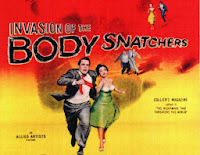 The conservative media's and Boehner's acquiescence to this threat as a tactical partisan maneuver is tantamount to a bloodless coup. It was an impeachable offense, and it should have provoked a pivot to articles of impeachment.